HOW TO RENT A LIMO FOR YOUR ANNIVERSARY ! Volusia County Limos can help you plan the perfect anniversary celebration. 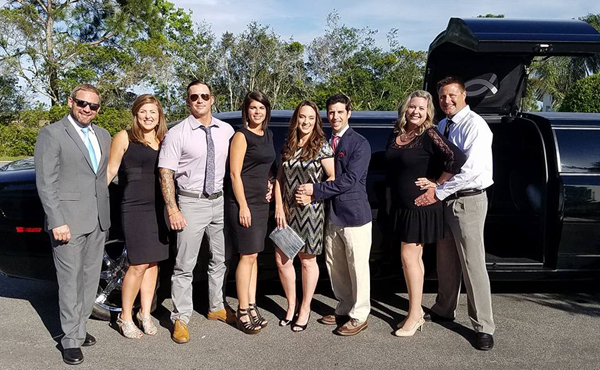 Reserving a limousine in Daytona Beach to celebrate your wedding anniversary is a great way for you and your love to celebrate all of the great memories you have created together. Gather a group of your best friend, close family or make it an intimate night for just the two of you. Our limo service comes with a beautifully decorated limousine, cold drinks on ice and red carpet service. We can help you plan your entire evening from where to stay in town and we recommend only the best romantic restaurants Daytona Beach has to offer. Since Volusia County Limos has been servicing North and central Florida since 2006. We have the experience to make sure every detail is perfect for your wedding anniversary limo service in Daytona. Just imagine the look on your loved ones face when they walk out to a Red Carpet leading to a beautiful Limousine. Every event is different, we like to personalize all reservations. Instead of having generic packages we prefer to speak with you. So we may put all of your thoughts and hopes into the perfect reservation. Creating an evening that you will remember for a lifetime. Please call us and see what we can plan for your special day.